Well this was a doozy of a week, I'm not going to lie. Henry went from last Saturday to Thursday without pooping (that's five days, folks). 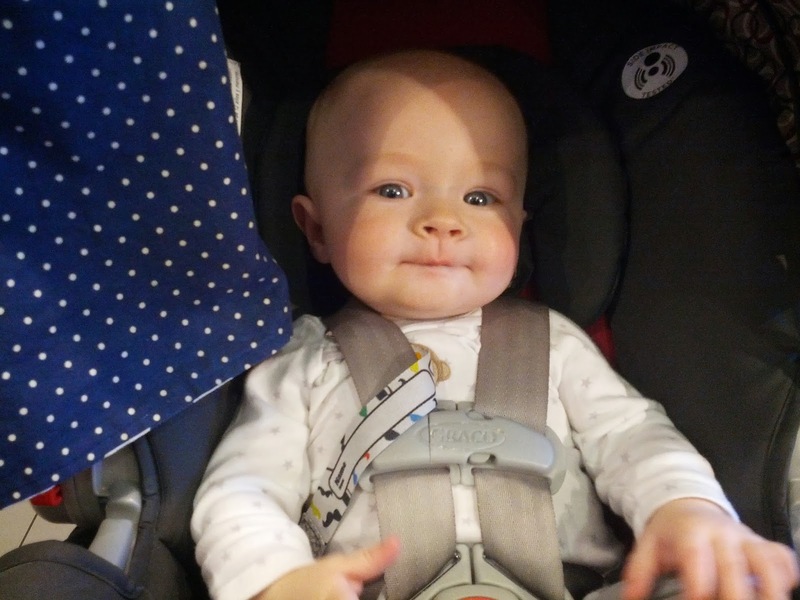 He was in the darndest of moods because of it, and to make matters worse, the lights in the main room of our house (where we spend all of our time) surged. So I was stuck in a dark apartment with a grumpy, poopless, and sleepless baby, which meant I was also irritable and unproductive. I started feeding him prunes. When he finally went... Guys. There's no fouler thing than a prune poop. I could continue, but I'd hate to let poop be the most interesting thing about this post, so I'll leave you at "hi finally went and everything was better and there you go." Since we started feeding Henry "human food," I've made everything he's eaten. I'm making it sound like I'm some sort of domestic. Sweet potatoes. I made sweet potatoes, pretty much. Boiled 'em, mashed 'em. 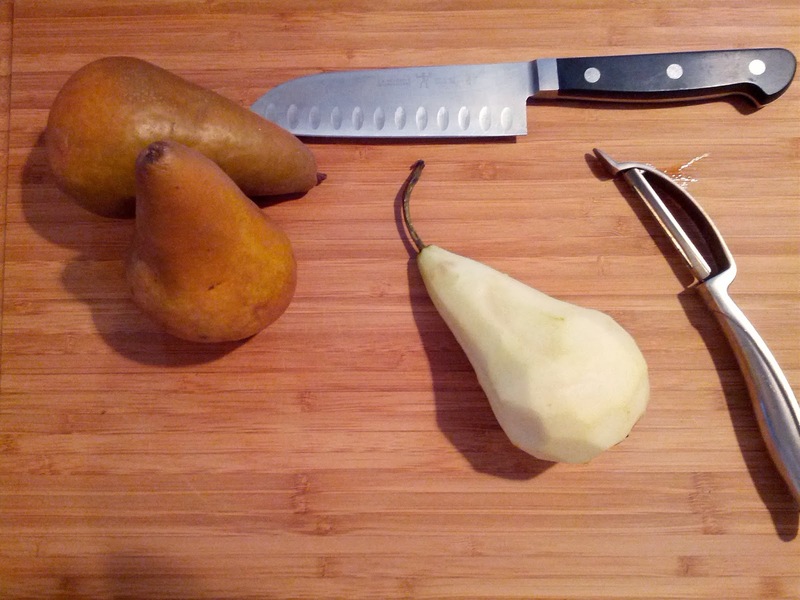 Since the kid has an expanding palate, I figured we were ready to try some new flavors, so I made some pears. Honestly, the effort it takes to peel, boil, and mash food for Henry is absolutely worth it compared to paying two dollars a serving at the store for food with added colors and chemicals. I'm not on a soapbox about it - I did feed him store bought prunes in a rather - ahem - urgent situation. I'm just saying it's great and I love making food for my baby. 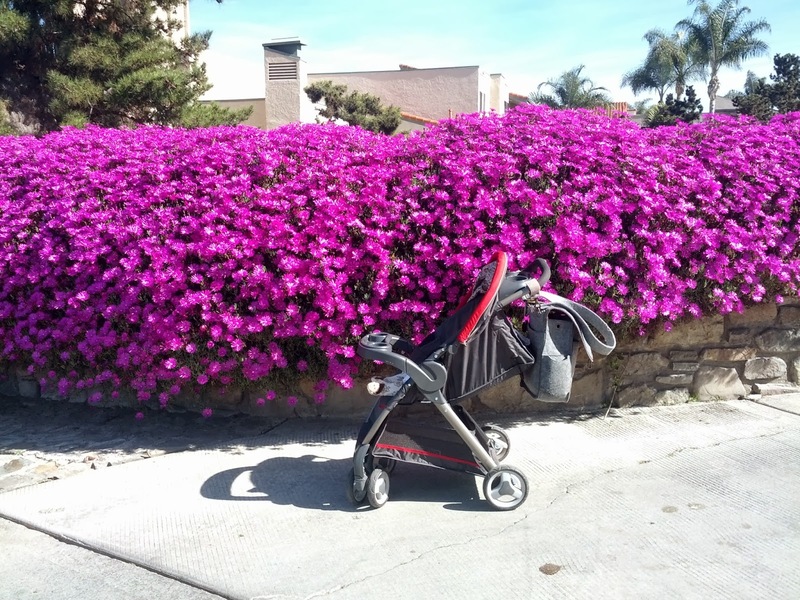 During his movement-free period (of the bowel variety), we were getting extra grumpy one day, so we took to the sidewalks for some January summer. Side note, what in the world is with this weather? He was so tired from all his non-sleeping and non-pooping that he fell asleep in the stroller about three minutes into our walk. 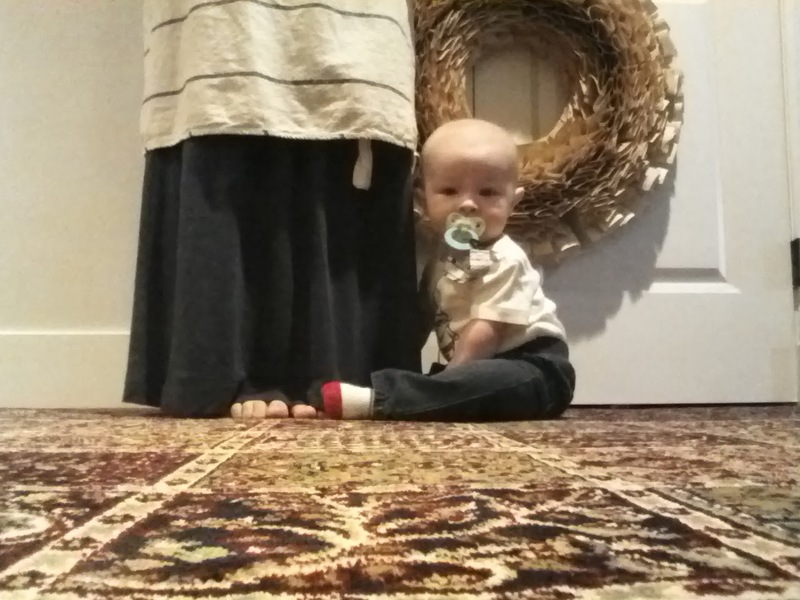 And I, being desperate for the quiet of naptime, just kept walking and walking until he woke up. Our day was worlds better after that. For the first time in my life, I had two Valentines, and each was infinitely handsome and wonderful. Conrad got me ice cream and some white mums that you can see in that last picture. What a hunk! Henry is now officially sitting. He falls over after a while, but his little back and neck muscles are getting so strong, and play time is more fun! And now, for the most exciting part of my week. I am officially finished with the first draft of my story. I had intended for it to be a novel when I started, but alas, sometimes the story that results does not need so many words. As far as word count, it is a novella, but it is the biggest thing I've ever written, and I'm not ashamed to say I'm really proud of myself! I'll spoil the surprise now and say that this is one of my projects for 25 projects, but I will not count it as one until editing is finished. So from here, I have a very long way to go, but I printed it out and held those pages in my hands, and felt incredible gratitude and motivation. 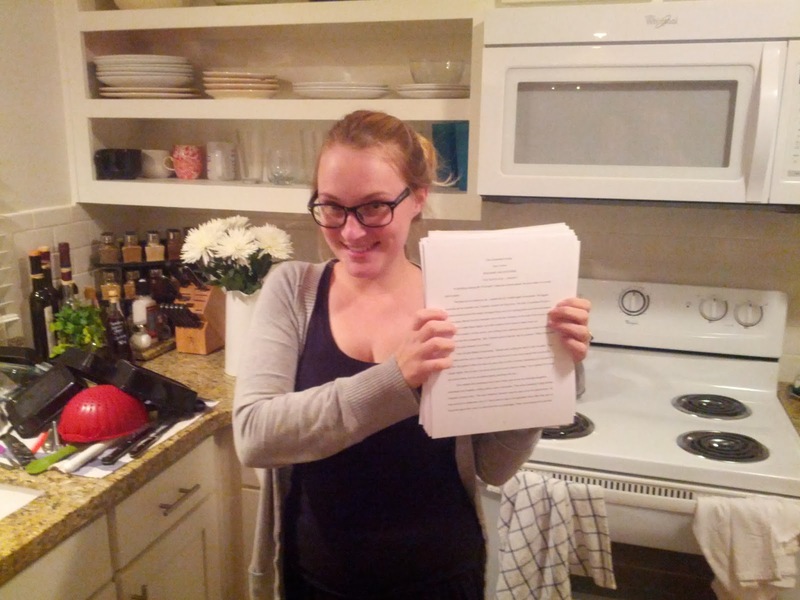 I have a manuscript! I am officially in the editing phase! Here's to completing goals! Follow me on instagram (tesiahframe) for more of our updates! I made all of my babies vegetables, but I bought fruit because in Utah you can't get fruit cheap enough to make it worth it! My son didn't poop for 7 or more days EVERY TIME for like 6 months of his life. This is why I tell people he is the worst. Fussy all the time. But we get a long so so so good now that he's 1.